A serious accident can leave you and your family feeling overwhelmed by many concerns. Not only must you concentrate on healing, you may also be worried about your work situation and how you will care for your family’s needs. At such times, making a personal injury or disability claim can seem daunting. 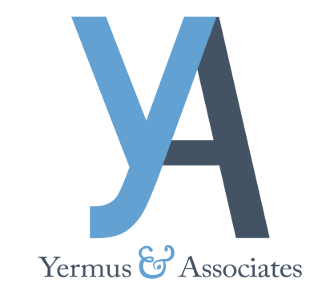 Yermus & Associates, and his legal team seek to help alleviate your stress. Our team will take care of the legal details of investigating the accident, analyzing your access to benefits and compensation, engaging experts where needed and negotiating with the insurance company. We will go the extra mile for you to ensure you receive the full amount of benefits and compensation to which you are entitled by law. Our experienced team of personal injury professionals is led by Toronto personal injury lawyer Michael A. Yermus. Mr. Yermus has spent his entire legal career assisting clients with their personal injury claims. He currently serves as the head of the personal injury department, which has provided legal services for clients throughout Ontario since 1976. When you choose to retain our services, you are entitled to a free consultation and your first consultation will be with Mr. Yermus, who will take time to listen to your concerns, your goals and the details of your situation. While others in our office may become involved in your claim as we progress, he remains accessible to you throughout the duration of your claims process. It costs nothing to speak with us about your personal injury claim. To schedule your free initial consultation, please contact us by calling 416-229-HURT (4878) or 800-682-8574 toll free today. We strive to accommodate those with busy schedules by providing evening and weekend appointments upon request. Foreign translation services are available in Mandarin, Cantonese, French, Greek and Portuguese.